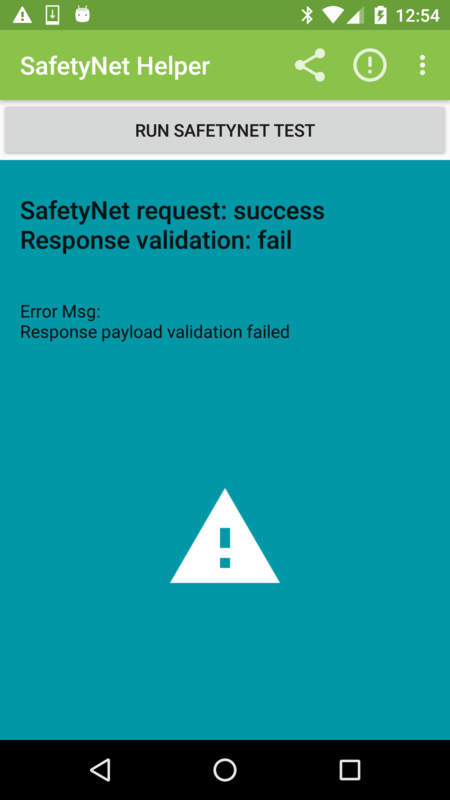 Introduction: SafetyNet Helper wraps the Google Play Services SafetyNet.API and verifies Safety Net API response with the Android Device Verification API. 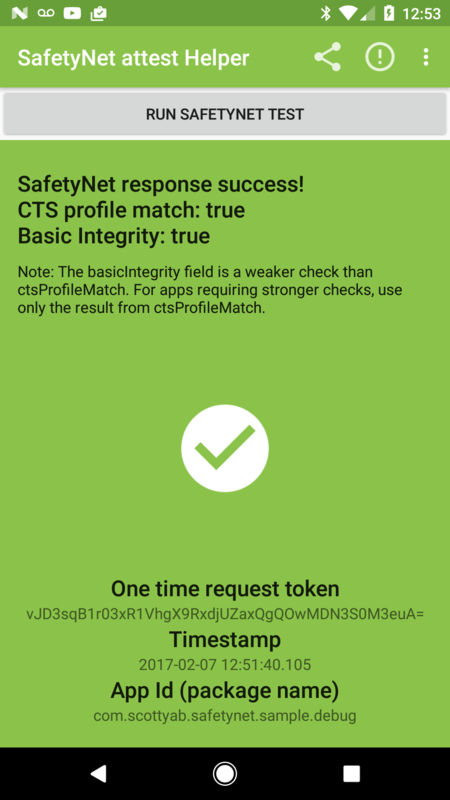 SafetyNet Helper wraps the Google Play Services SafetyNet.API and verifies Safety Net API response with the Android Device Verification API. 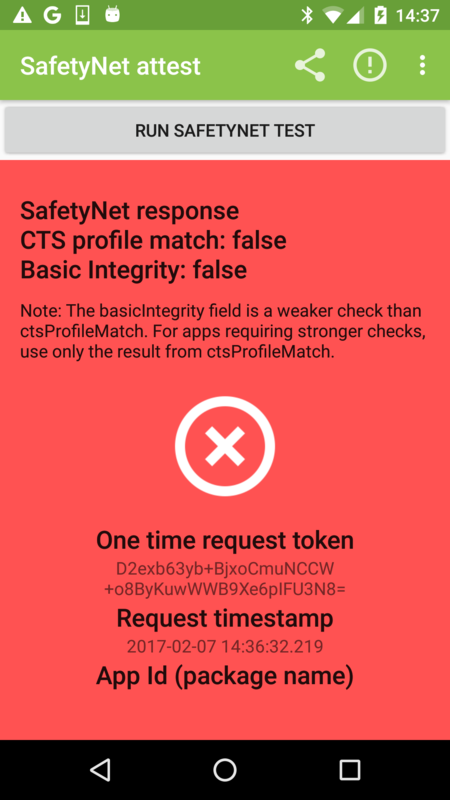 The SafetyNet.API analyses the device your app is running on to test its software/hardware configuration matches that of a device that has passed the Android Compatibility Test Suite (CTS). Note this is a client only validation, it's recommended to include server side validation. Rooted devices seem to cause ctsProfileMatch=false. Check if your app is running on a device that matches a device model that has passed Android compatibility testing. This analysis can help you determine if your app will work as expected on the device where it is installed. The service evaluates both software and hardware characteristics of the device, and may use hardware roots of trust, when available. This library was built to get app developers up and going with SafetyNet attest API. With skill and time any device based checks can be bypassed. This is why the validation should be handled by the server. Therefore you should look at implementing more robust and secure validation of the attest response via a server-side component. If verification fails then at least your server would know if the device (and app installation) was compromised and take appropriate action e.g revoking OAUTH tokens. //profile of the device running your app matches the profile of a device that has passed Android compatibility testing. //then the device running your app likely wasn't tampered with, but the device has not necessarily passed Android compatibility testing. The sample app illustrates the helper library in practice. Test your own devices today. It's available on the playstore.